Assist 2K is designed for wholesale distributors and manufacturers that require flexible and user-friendly interface from their accounting software. 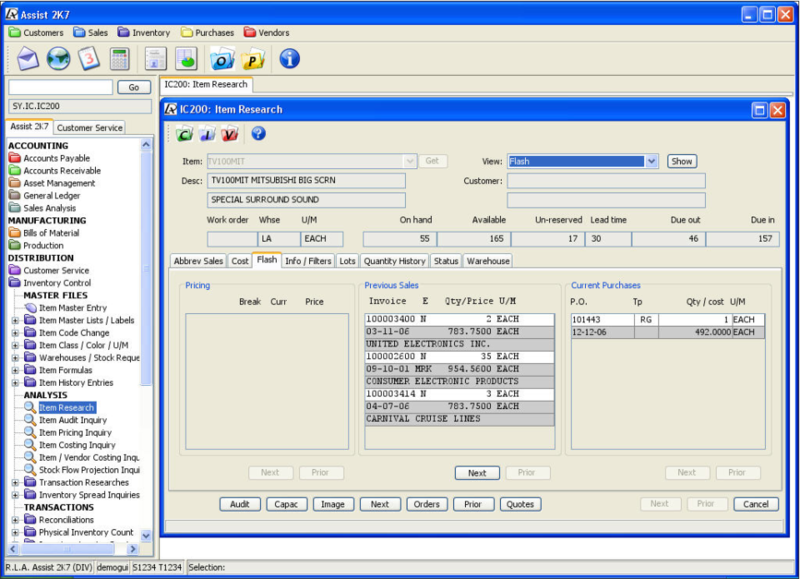 E-Syst / Assist 2K low cost wholesale distribution / manufacturing accounting software package Features include cc processing. lot traceabliltiy, unlimited customer pricing, back order control, multiple warehouse, u/m conversions, flexible bom's, kitting, EDI, Excel export, UPS / Fedex integ, unlimited history storage, graphs, document imaging, paperless office, email forms / reports, multiple companies, bar coding, report writer, ODBC / SQL compliant, and much more.